Our cute crafty-friend Rachel from I Heart Crafty Things is visiting today. You’re going to have such a fabulous time making her adorable Balloon Printed Snowman craft with your kiddos this winter! Now that the weather has turned cold, my kids have been anxious for some good snow to fall so they can make a snowman outside. 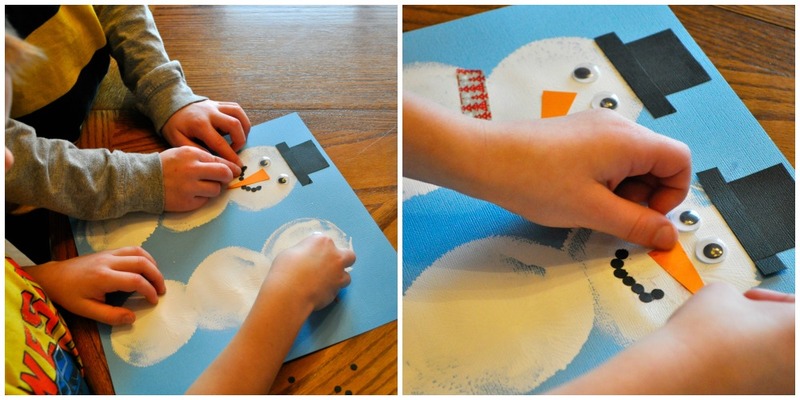 Since we haven’t had much yet, we decided to do the next best thing…make a snowman craft! We used a balloon to print our snowmen and my kids loved it! 1. Start by blowing up your balloon about half way. You don’t want the circles to be too large on your paper, so make sure you are able to stamp three circles on top of each other on your paper. 2. 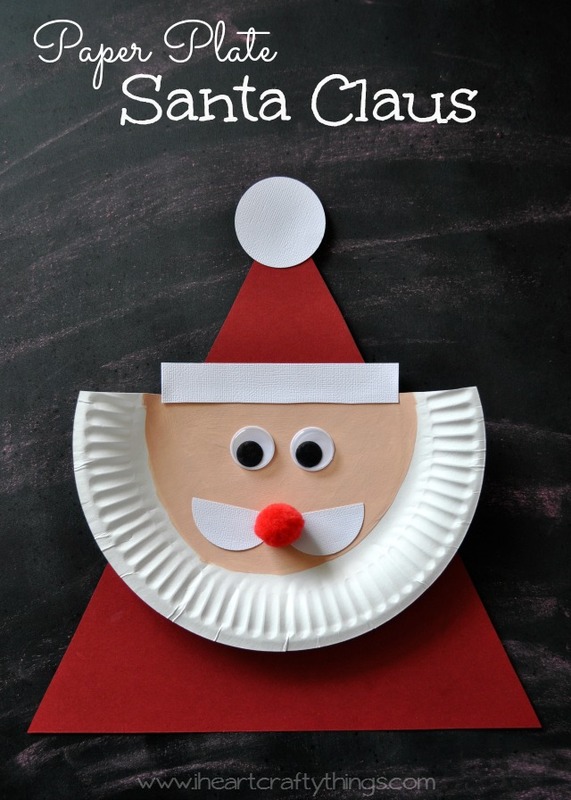 Pour some white paint onto your paper plate. 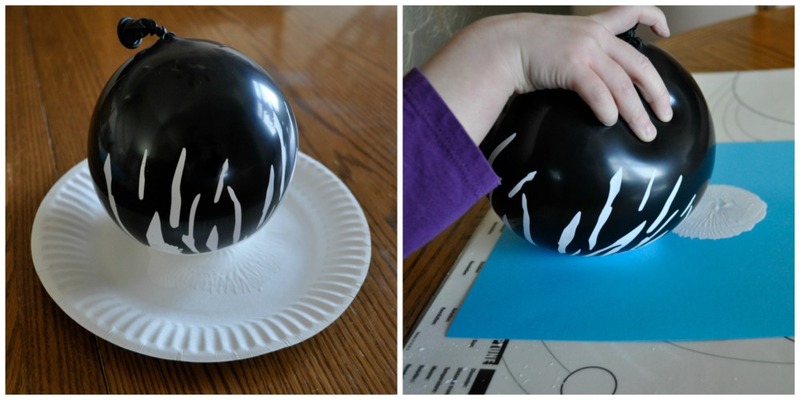 Dip your balloon into the paint and then stamp it onto your blue paper. Stamp 3 prints on top of each other to make your snowman. Let the paint dry completely. 3. Gather your materials to decorate your snowmen. I placed mine in this plastic veggie tray to make it easily accessible to my children while they worked. I cut out the carrot noses, hats and arms for my kids out of paper. I also included googly eyes, buttons, black hole punch circles, washi tape and glue. 4. Once our white paint was dry, I set my kids loose decorating their snowmen. My oldest son wasn’t around when we printed our snowmen, but little brother was so kind and decided to share his artwork so they could each decorate a snowman. Total cuteness right?! 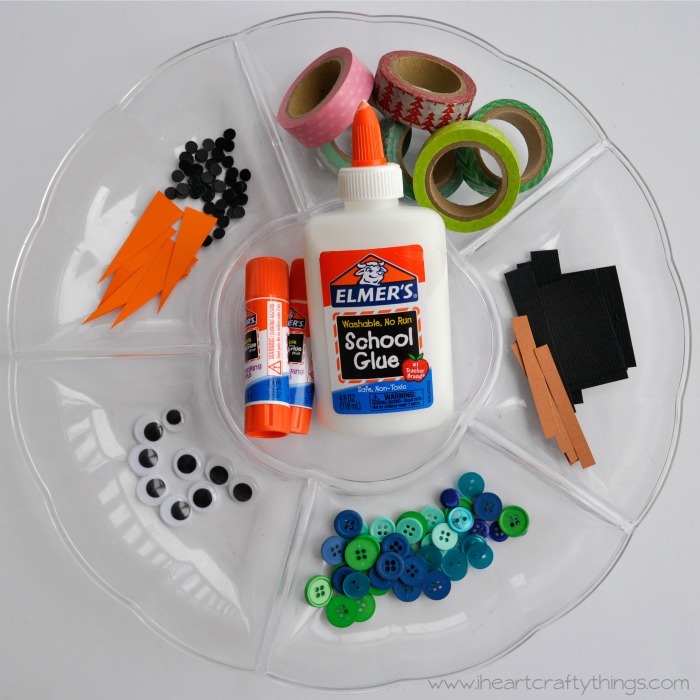 I love crafts like this that allow my kids to use their creativity in making something their own. Each snowman turned out completely different and unique and that makes it just perfect! Cuute. My kids would love to try this as well.